Car scrappage schemes 2019: how much can you save? What scrappage schemes are car manufacturers running in 2019? All the latest diesel scrappage schemes and details on how much you can save when you trade in an old car or van. Car scrappage schemes allow motorists to trade in their old vehicle in return for a discount on a new model. Even if your old car is several decades old, you can normally get at least £1,000 and sometimes as much as £8,000 off the purchase price of a new model, which in turn could dramatically shrink your car finance monthly payments. This means you could get much more for your old car than its actual resale value. This is done to help clean up the average emissions of the cars on the road as it takes older, more polluting models off the road and replaces them with cleaner, more efficient newer cars. As a result of this, the schemes are often referred to as diesel scrappage schemes, due in part to the growing backlash against diesel that started around 2017. The first government scrappage scheme was launched in 2009, although that was also partly to help boost car sales after they had suffered big drops around the financial crisis. They hit the headlines again in 2017 when many vehicle manufacturers introduced their own, non-government-backed, scrappage schemes to encourage new car sales by getting people to trade in their older models. What scrappage schemes are available in 2019? 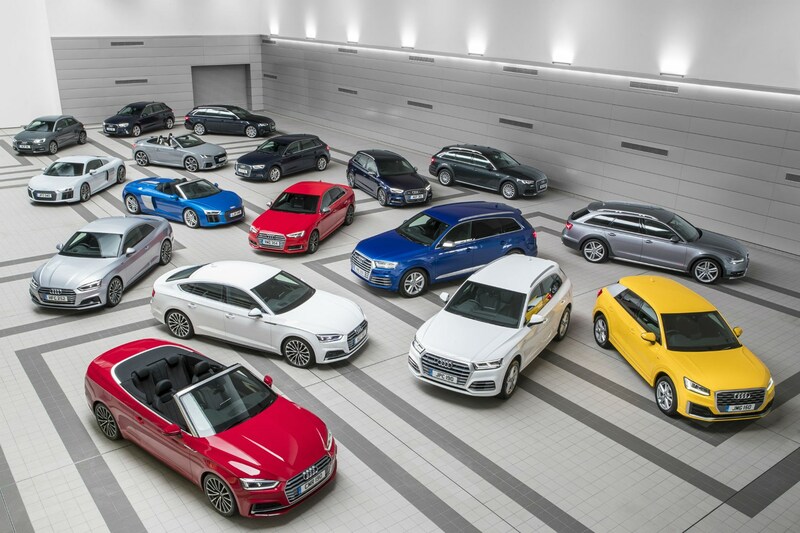 Most of the manufacturer-launched scrappage schemes came to an end by 31 March 2018, but some brands have continued to honour their promise to give you a fixed trade-in price on some models. Of the brands not currently running a scrappage scheme, none are planning to introduce one in the foreseeable future, but it is possible that this may change if new-car sales fall. Kia – Kia is also offering a scrappage discount on three of its models – the Picanto city car (£2,000 off), the Stonic small crossover (£2,500 discount) and the new Niro hybrid (£3,000 saving). You need to have owned your trade-in for three months and it has to be registered on or before 31 March 2012. Currently this offer runs until 31 March, but Kia has said it may be adapted and continue running after that. Mazda – Mazda will offer you at least £3,000 and as much as £6,000 off the cost of a new car. You can go for any Mazda so long as it emits less than 136g/km of CO2, although the MX-5, the petrol CX-3 and petrol CX-5 are excluded. Your old car has to be registered on or before 31 December 2010 and will be fully recycled. Although it officially ends on 31 March, it is likely to continue into the next quarter. Renault – The Renault scheme requires you to have owned your car for 90 days and it has to have been registered on or before 31 March 2012. Renault will then give you £1,000 off a Koleos or a Megane, £1,500 off a Twingo, £2,000 off a Clio or Captur or £3,000 off a Zoe or Kadjar. 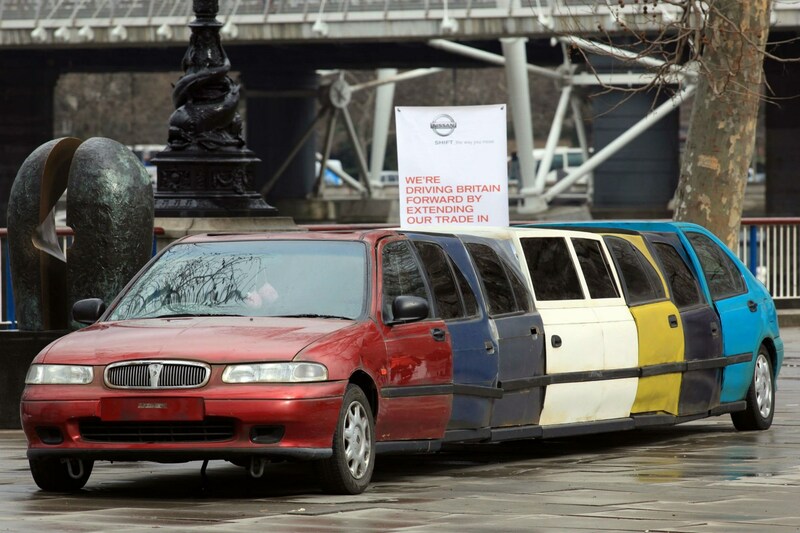 As well as cars, Renault will also let you trade in vans. Toyota – Toyota is currently offering between £1,000 and £3,000 off a new car, so long as you are trading in a model that was registered on or before 31 March 2011. However, you need to have owned your trade in for six months. It isn’t available on every model, with the base trims not eligible, and the new Corolla and RAV4 not due to go on sale in time for this version, which officially ends on 31 March. However, as Toyota has run a version of this scheme non-stop since 1 September 2017, this might well be extended again. London – In a highly unusual development, companies in London will be able to take part in a van scrappage scheme backed by the London Mayor this year. Precise details have yet to be confirmed, but some £23m has been set aside to help buyers trade in their old vans for a new model. It is launched as a result of the new ULEZ zone that will see drivers of old vehicles charged for going into the centre of London. There is another £25m proposed by Mayor Sadiq Khan to help low-income Londoners scrap older, polluting vehicles. The uncertainty around Brexit could cause some consumers to hold off on buying a new car – sales fell by almost 7% in 2018 compared to the previous year. If this trend continues then manufacturers might decide to stimulate the market by introducing new scrappage schemes to encourage buyers back into their dealerships. The first scrappage schemes came about in 2009 partly in reaction to the dip in sales caused by the financial crisis, so the government might not be averse to helping stimulate demand once again if sales really suffer. It’s also worth bearing in mind that there are many ultra-low emission zones due to come into force in the coming years, with many cars set to be banned from inner-city areas. London Mayor Sadiq Khan has already announced plans for a van scrappage scheme in the capital. 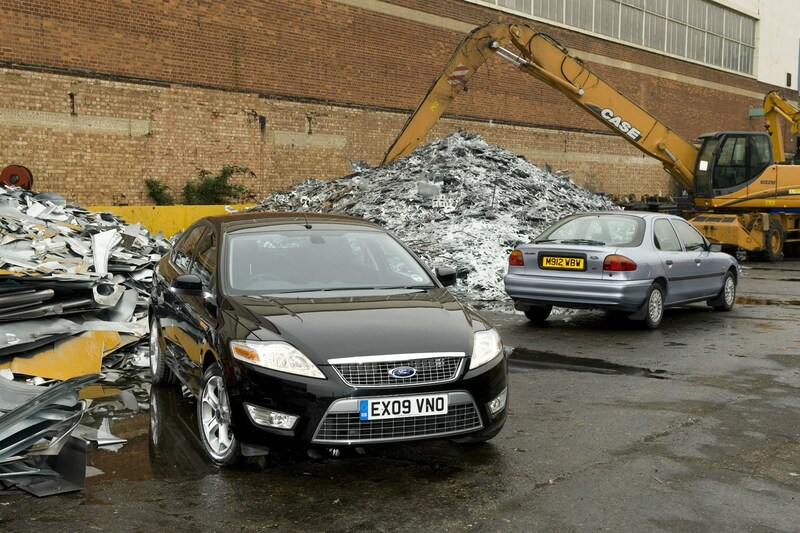 Anything else you need to know about scrappage schemes? It is worth doing your research and your sums before you trade in a car on a scrappage scheme. Some of the discounts offered might be lower than the amount you could get if you sold your car privately, so get a Parkers Valuation to make sure it makes financial sense. Also, you often can’t combine the scrappage scheme with any other offers, so it is worth checking whether there are any better offers available if you don't take the manufacturer's scrappage option. It’s crucial that you have a good idea of how much your car is worth before heading to the dealer for a new car – get a Parkers valuation first, so you know exactly how much you should be able to get for your old car. If you could get £6,000 by selling the car yourself, there’s no point in accepting a £2,000 discount for trading it in and seeing it scrapped. Some brokers are offering discounts on new cars that are comparable or better than scrappage offers, too. While some manufacturers will give you a discount for trading in an old car plus the car’s trade in value, others will simply give you the scrappage allowance and nothing else. Therefore, you could save yourself thousands by choosing the scheme that gives you the highest price for your car. Yes, it can be easier to trade your old car in to the dealer when getting a new car, but often you get a very low price this way. That is equally true if you sell the car using an online car buying service. These new scrappage schemes, however, mean that if you have a low-value car, it can be better value to trade it in; if you know that your car is only worth £500 and you can get £2,000 by scrapping it, this is effectively a £1,500 discount. However, it’s a different story if your car is more valuable. Remember, though, that you can always haggle for a cash discount, find huge savings online or push for a great finance deal by following our top finance haggling tips. Do this and you can save thousands without your car being scrapped or being tied to a specific manufacturer or model. The best way to trade in your existing car depends upon its value, so get a Parkers’ valuation before trading it in, to know exactly how much you should be getting for it. Parkers valuations show how much you could get for selling a car privately or trading it in, so you can see whether it’s worth the effort to sell the car yourself for a higher price. Many of these scrappage offers run alongside the manufacturers’ finance deals. If you plan to go for PCP finance – the most popular type – you’ll want to get several quotes to compare a few different models like for like, before making your mind up. Choose badly and you could end up spending £100 per month more – if not more than that – for one £15,000 car over another, even though they might have the same list price. Therefore, you’ll want to get finance quotes for a few different models – taking into account the scrappage allowance, any trade in value for your car on top of this plus any deposit contribution discounts – to see how the costs compare before making your mind up, as some manufacturers offer much better value finance than others. For an alternative look at scrappage, visit our sister site CAR magazine.